Today I just wanted to write you a quick note to let you know about a new place you’ll occasionally be able to find me. Some time ago the people over at the Emerging Scholar’s Network Blog decided to start putting together a devotional for Christian scholars called Scholar’s Compass. While there is much that can be learned from devotionals and other prayer practices meant for everyday Christians, it is nice to have one set aside for scholars. So alongside some other stellar authors, you can now find me. Two of my devotions have already gone up for this Advent season. Please let me know what you think. I pray you will be blessed by those I have written and those written by the others (and they are spectacular). With only 10 days left in Advent, this may seem like an odd time to write a letter on books to read over Advent and Christmas, but since Christmas is 12 days long, that gives us a bit more time. This list is a combination of fiction, poetry, and theology. I hope you enjoy. 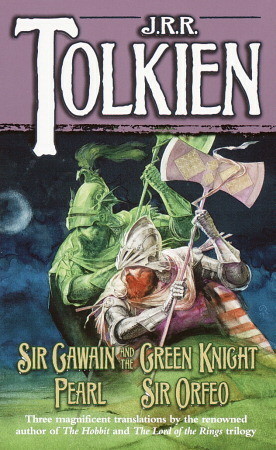 Perhaps the most obvious choice, I find many people have seen film versions of this story, but have rarely read the book. It is a story of transformation, of hearts of stone exchanged for hearts of flesh. 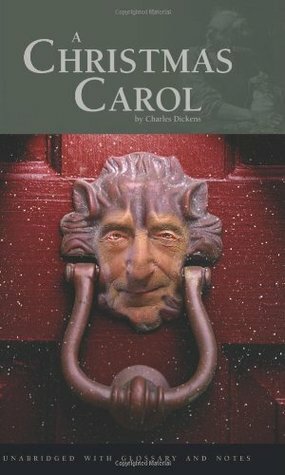 Don’t let the familiarity you may have with the story allow you to pass by the beauty of this Christmas Ghost Story. 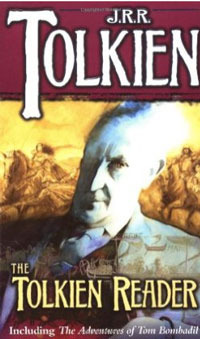 From the creator of Middle Earth (or sub-creator I should perhaps say), many people don’t know, but shouldn’t be surprised to learn, that this creator of language and myth used to write letters to his children from Father Christmas. 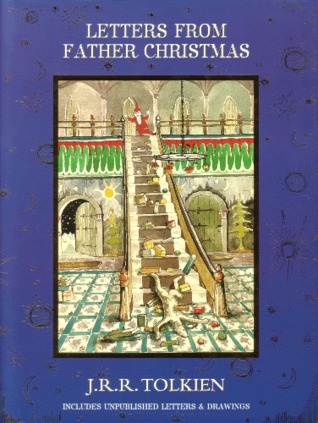 Filled with stories about the antics that cause Christmas to almost fail, this book is a collection of twenty years of epistles from that jolly old elf. What started as an introduction to George MacDonald’s ‘The Golden Key’ turned into a delightful fairy story. Giles is a farmer in the little kingdom who finds himself battling a giant and a dragon. The story takes place between Michaelmas and St Matthias’ Day, paying special attention to Christmas Day, St Stephen’s Day and more. Be prepared to laugh at a parody of the standard fairy tale. Faerie castles, green giants who can survive without their heads, King Arthur, his cousin Gawain, and more. This poem which centres around Christmas and New Year’s is an excellent example of the Medieval faerie tradition and makes an excellent addition to any Christmas reading. This text defends the doctrine of the Incarnation against the Arian heresy. This is the text you want to read if you want to understand how the Church first began to articulate in greater detail how and why it is that Jesus Christ, the person who’s birth we celebrate in Christmas, is both God and Man. This can be a bit technical and use language that non-theologians might not be familiar with, but I highly recommend working through it, nevertheless. 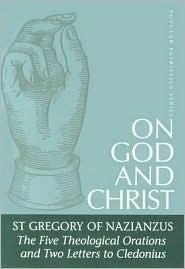 This collection of sermons given by Gregory, bishop of Nazianzus, continue the fight against forms of Arianism, defending both the divinity and humanity of Jesus, as well as the divinity of the Spirit. Gregory takes what Athanasius had done before him and works out more aspects of the importance of the Incarnation. What both this book and the above have in common is an understanding that the coming of Christ means much more than our salvation from sin, but also our deification. What are some of your favourite books to read during Christmas? Leave your thoughts in the comments below. For those of us in the West, the season of Advent is nearly upon us. In just a few days time our Christian year begins again. I’ve always found it interesting that our New Year begins with waiting. We begin by putting ourselves in the shoes of the Israelites after the exile, awaiting this promised branch of Jesse. We put ourselves in Mary’s shoes, awaiting the nativity of the Son of Man and Son of God. But we also remind ourselves of our own situation; our own waiting for the Lord’s return. We begin each year waiting. Waiting for Christmas, certainly, as we recapitulate the waiting that has gone on before us waiting for the birth of Christ; but also waiting for his coming again. There are two seasons of waiting, in a sense, in the Christian Year. The first is Advent, but the second is Lent, that waiting for the resurrection. When we celebrate Lent, however, we fast, reminding ourselves that the light has gone out of the world and that we depend on that light for our sustenance. 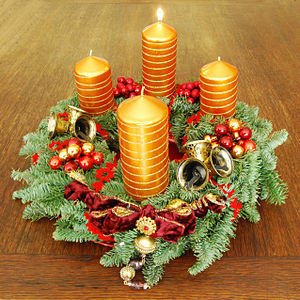 It was traditional, however, to also fast in Advent. In fact, the Eastern Orthodox Church celebrates Advent for forty days prior to Christmas for that very reason. In the West, however, as well, it was traditional to fast during the four weeks and a bit, usually, that precedes the celebration of the Nativity. With that in mind, I want to encourage you to fast this Advent. Traditionally, one would have fasted from meats, sweets, etc. during Advent, but as often happens with Lent, this may be a time to fast from other things as well (the internet, social media, Christmas music, Christmas movies, etc.). This Advent I’ll be giving up watching TV on my own. I often fill the silent moments in my life with TV shows and phone games, so I’m going to use Advent as an opportunity to remove some of the distractions in my life and remind myself that God often speaks in the silences. Have you ever fasted during Advent? If so, from what? How did you find it? Let me know. The wait is nearly over. Tomorrow evening we begin the celebration of the birth of Christ into this world. For the next twelve days we contemplate and give praise for the greatest gift and mystery, God become man. To help usher in Christmastide, tonight a group of our (mostly) American friends will be attending a Christmas Eve (one day early) service at Southwell Minster. Picture of Southwell Minster. Taken by my mom. Tonight we’ll sing carols (something I’ve tried to avoid to help add to my Christmas experience this year, and we’ll celebrate the coming King. While Advent and Christmas are reminders of events that took place in the past, our participation in them is also to remind us that we still wait the return of our Saviour, Deifier, and King. I have been overawed this Advent thinking about the implications of waiting for the Saviour’s first coming. How long Israel had waited! Then, when their King comes they find out it isn’t to be just how they imagined it. Instead of being a solely political leader come to reunite Israel, they get a man who claims to be God, who turns all their notions on their heads and tells them he must die, resurrect, and return. May we not forget just who it is for whom we are still waiting. What are your thoughts from Advent this year? Below is a link to a video on contemplation and Advent. The speaker is Phileena Heuertz and she has a website on contemplation here. I only have two comments about this video I sadly cannot embed. First, she says early on that since contemplation is about allowing ourselves to be open and receptive of God and Advent is also about making space for God in our lives, Advent isn’t a different time of year for her. I understand this kind of view. It’s the I know how I ought to live and shouldn’t need special times to remind me. It’s the argument I hear from my fellow lower protestants about the Church Calendar. This misses the point, in my view. Advent, specifically is about more than just making space for God, it’s about waiting. As I said in a previous post, Advent is both where we join the Church universal in waiting for Christ’s return, and we remember how the world waited for his first coming. My second, brief, point is this: For her contemplation is centred around a centring prayer which is prayed by remaining silent and focusing on a sacred word to re-centre us when thoughts and distractions come our way. The Eastern Church has a prayer similar to this which is called The Jesus Prayer, ‘Lord Jesus Christ, Son of God, have mercy on me, the sinner.’ Another prayer often used in this way is based loosely on Psalm 71.12: ‘O God, incline unto my aid; O Lord, make haste to help me.’ I like these prayers (her idea is awfully similar to Eastern meditation, that doesn’t make it bad, I just prefer things based on Scripture or the Tradition). Anyway, watch the video, let me know what you think. Let’s contemplate and make space for God this Advent season.